The Madras is a refreshing, fruity highball drink that should be included on everyone's list of drinks to know. It is one of those easy vodka cocktails that concentrates on fruit juice and is a perfect option for mixing up at a moment's notice for any reason or occasion. The mix is quite simple: a shot of vodka and a 3:1 ratio of cranberry and orange juices. Of course, you can play with these ratios in any way that you like and even switch out the vodka. Try any of the fruit-flavored vodkas or use this as an experimental cocktail to see how your homemade infusion works with common fruits. Pour the ingredients into a highball glass. Don't forget the fresh OJ. You can make fresh cranberry juice, but it's honestly easier and cheaper to buy it by the bottle. However, orange juice is a different story and you'll save money and have a better tasting drink if you take a minute to squeeze a little fresh juice. It's easy and doesn't require a fancy juicer, so there's really no excuse. Serve it as a punch. The Madras is a drink that is perfect for mixing up ahead of time to be served as a party punch. Simply increase the ingredients and stir them in a pitcher and chill until it is time to serve. Add a few slices of orange and you have a super easy punch that your guests will love. Add a little sparkle. Top your Madras with seltzer, club soda, or ginger ale. Add a sparkling wine to transform it into a brilliant brunch cocktail as well. Try another fruity vodka favorite. While the Madras may be an easy drink to make, it can be easily switched up a bit. If you enjoy this on, mix up one of its vodka-cranberry cousins like the Cape Codder (vodka-cranberry), Sea Breeze (vodka-cranberry-grapefruit), and Bay Breeze (vodka-cranberry-pineapple). How Strong Is the Madras? In reality, you can make mixed drinks like the Madras as strong or as light as you like. It is just a matter of adding more or pour less of each of the juices. However, the average Madras is a pretty light drink. 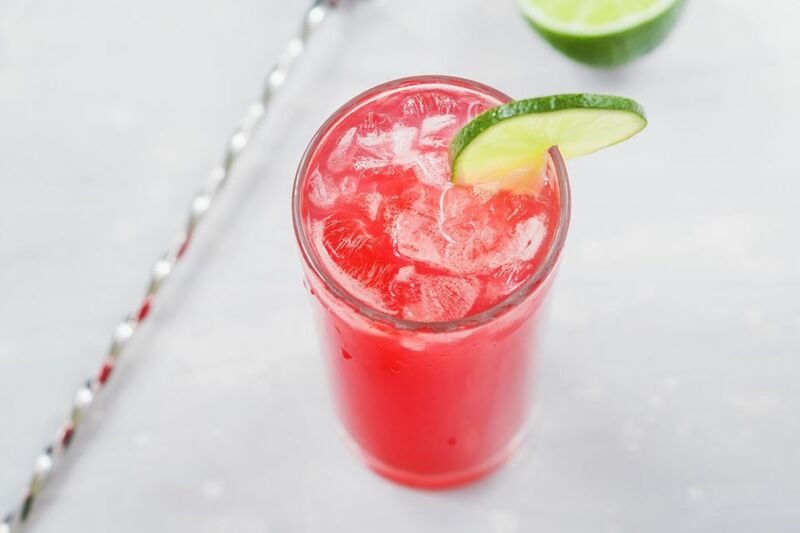 When mixed in the proportions given in the recipe with an 80-proof vodka, the Madras has an average alcohol content of about 10 percent ABV (20 proof).